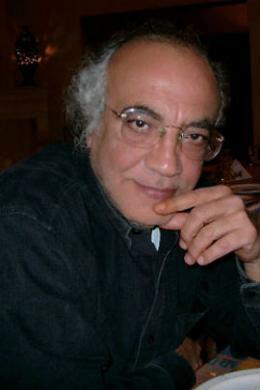 Born in Casablaca, Morocco in 1943, Mostafa Nissabouri is a poet and short story writer. Although he began university studies, he had to abandon them for employment. In 1964 Nissabouri and Mohammed Khair-eddine published a major manifesto arguing for the rethinking and modernization of Moroccan poetry. He was one of the founders of the review Souffles, and also edited Integral. He is also a member of the House of Poetry in Morocco. His collections of poetry include Approche du désertique (Casablanca and Neuilly: Editions Al Manar, 1999). translated into English in 2001; La mille et deuxième nuit; and the chapbook Rupture et Aube. English language translation ©2001 by Guy Bennett.